SYNOPSIS: In this series of monologues, take a trip through the emotional minefield of life. Childhood traumas linger, love is elusive and confrontation looms large. The characters in Scattered Mannequins get knocked down, but they get back up and move on, trying to keep the fire in their lives from going out. 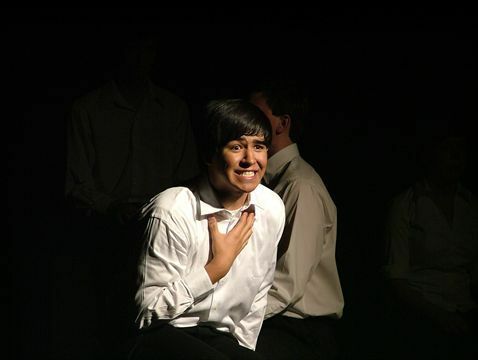 Alex Rivera in original production. Photo by Dan McKown.